In the last few month I got quite a few requests on deploying RHV as a single hyper-converged non extendable node with local storage (not gluster). This blog post is going to show you how you can install RHVM on baremetal and add the same host which hosts the baremetal engine to RHVM. As always, you need a working dns server and the engine host needs to resolve (forward and reverse lookups). for this to work. Step4. 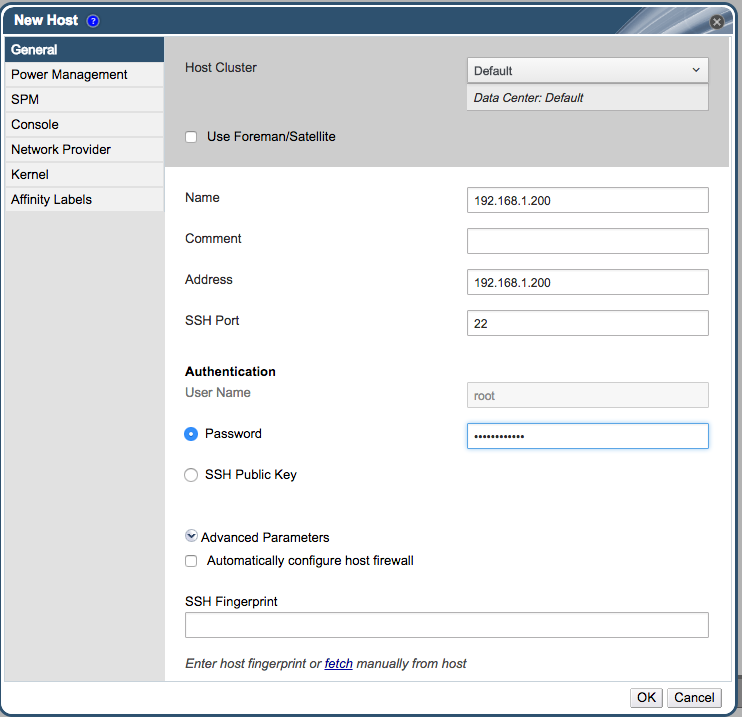 Disable firewalld as the hypervisor will use iptables when it adds the hosts. Step 11. Once your host is activated you should see this. Step 14. 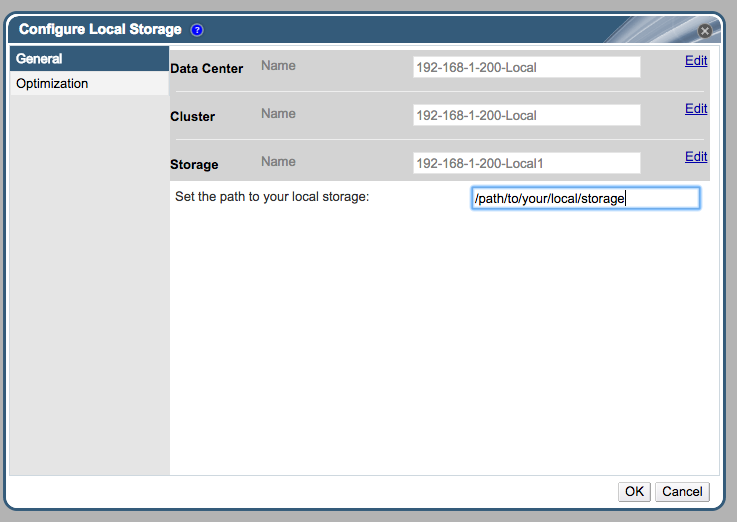 Configure the path for the local storage. Step 15. Make sure that the directory you specify above is owned by vdsm.kvm. After you added the path hit ok. It will create the storage domain. Step 16. 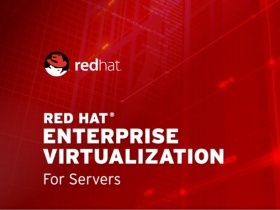 You are now ready to use RHV. When adding a host you can check that it will not configure iptables. Very cool, glad to know this can work. Is this a supported configuration? How big a machine do you need in order to make this practical? There are a slew of questions kicked off from engine-setup. For the most part, I take the defaults, with the exception of the Firewall as you point out. Any others that are not obvious? I did this with oVirt, does it allow you to upgrade to 4.2? I don’t see why it wouldn’t. Also, did you take a look at this?